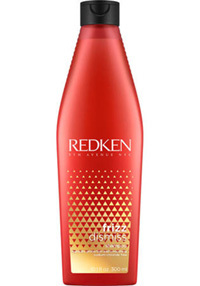 Redken has reinvented Frizz Dismiss collection is a collection of haircare products and treatments providing humidity protection and smoothing benefits for all hair types. The collection features new generation technologies infused with sustainably-sourced Babassu Oil to tame flyaways and decrease puffiness while increasing manageability and shine. The formulas feature a warm, beachy fragrance with notes of vanilla, jasmine, pear and citrus for an invigorating experience with every use. 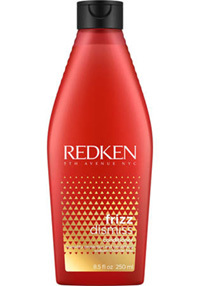 Redken's Frizz Dismiss Shampoo features a gentle, sulfate and sodium chloride free formula to tame frizzy hair, increase smoothness, and enhance shine. 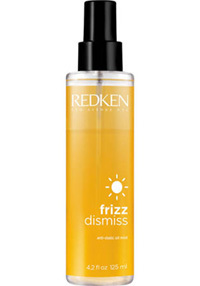 Redken's Frizz Dismiss Conditioner features a gentle, sodium chloride free formula and sustainably-sourced Babassu oil to tame frizzy hair, increase smoothness, and enhance shine. This conditioner moisturizes, detangles and protects the hair from frizz while providing softness and shine. 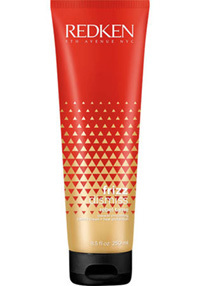 Redken's Frizz Dismiss Mask is an intense smoothing treatment for all hair types. Featuring sustainably-sourced Babassu Oil for enhanced manageability and frizz control, this hair mask nourishes, softens, and hydrates unruly hair. 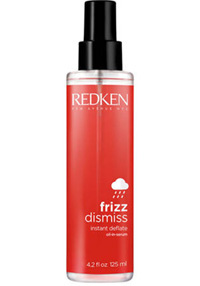 Redken's Frizz Dismiss Instant Deflate is a hair oil-in-serum suitable for all hair types that helps control the excess volume on puffy, frizzy hair caused by humidity. The formula features sustainably-sourced babassu oil for increased manageability, while enhancing smoothness and shine. Redken's Frizz Dismiss Rebel Tame Heat Protecting Cream is a multi-benefit smoothing cream featuring sustainably-sourced Babassu Oil. 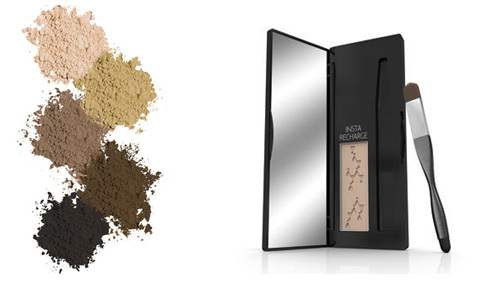 Insta Recharge Powder is a revolutionary product that can be used to define and fill in your eyebrows for a more professionally enhanced look. Also, use as a temporary coloring solution for in-between salon appointments. Available at our salon in SCRANTON ONLY, for an introductory price of $15.99 (a $25 value). 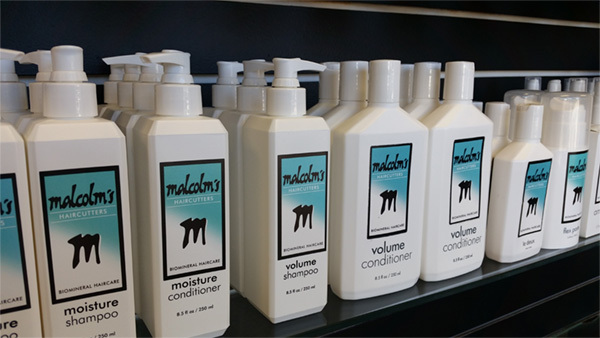 And don’t forget to check out our own MALCOLM’S LINE! Highly researched and clinically tested, the exclusive Biomineral Technology in each product is a unique selection of minerals and protein that achieve the desired results. Our exclusive line includes shampoos, conditioners, styling aids, and hairsprays - all suitable for every hair type. Moisture Shampoo & Conditioner – Powerful anti-aging and collagen-building properties act as a barrier to seal the hair cuticle and protect from fade and damage. Volume Shampoo & Conditioner – Transports nutrients into hair’s innermost layers to impart flexibility, reflective shine and resiliency. Amethyst Oil – “Pops” your hair color while adding luminous shine and major softness. Fights frizz and makes your hair smooth. Amplifying Foam – Boosts hair with flexible full-on volume and bold, gutsy style that lasts. Everyday Miracle Treatment – Detangler that blocks out frizz-causing humidity and provides shine and color retention while protecting from thermal styling damage. Flex Paste – For molding and holding with a matte finish. This creamy formula allows you to twist, shape and texturize hair. Le Deux – This product has a split personality. Use it to perfect the ultimate smooth blow-out or for hair with natural curl, achieve luscious, defined curls. Versatile Styling Crème – Helps define and maintain your hair style. Controls curly hair and keeps it frizz-free and smooth. Contains thermal heat and color protecting agents. Stay Firm Finishing Spray – Flake-free hold that lasts and helps block humidity with super-fast drying sheen. Helps fight frizz and fading. In Control Hairspray – This humidity-resistant, shaping, and control spray provides texture, natural shine, and long-lasting touchable support.